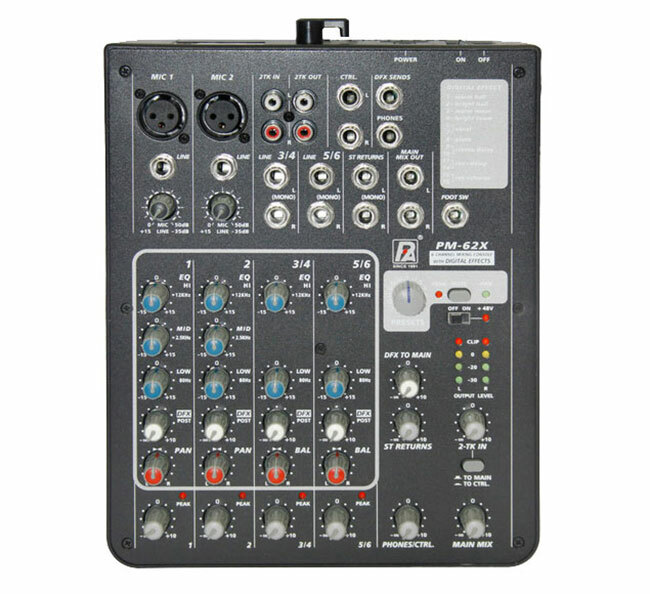 The P.Audio PM-62X is a 6-channel mixer with digital effects. It features ultra-low noise discrete MIC preamps. The PM-62X offers very high headroom enabling a dynamic range. It has a built-in 24-bit DSP effect with 16 presets and 1 Aux Sends per channel for external effects and monitoring.